Coming this summer, Yorkville Village will be hosting a weekly Farmer’s and Artisan Market, in their courtyard location, at 136 Yorkville Avenue! This outdoor market will feature some of the best foods Toronto has to offer including: local produce, freshly baked breads and pastries, artisan cheeses, VQA wines, jams and preserves and other upscale treats, as well as products from local makers which will delight both local clientele and visitors to the area. The Market will pride itself on offering high quality products. Teatro Verde had a wonderful display at the Yorkville Village Holiday Market! 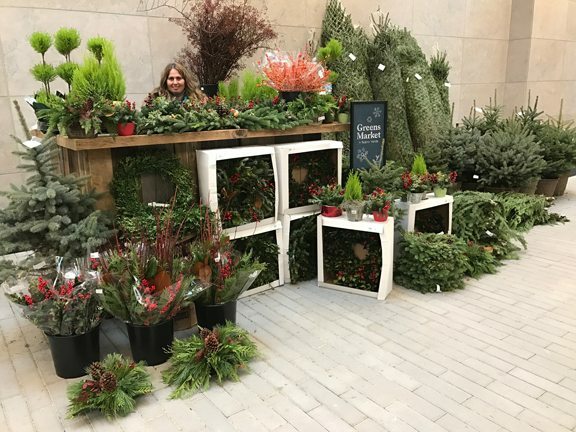 Yorkville Village had great success with their Holiday Market in December, with one-of-a-kind vendors, and family-friendly activities. It only seems natural to keep the momentum going with a summer market. The Yorkville Village Summer Market will take place in the outdoor courtyard of Yorkville Lanes, at 136 Yorkville Ave. (just east of Avenue Rd. ), each Wednesday from 9am – 2pm. The Market will run from June 7 to August 30, for a total of 13 weeks.